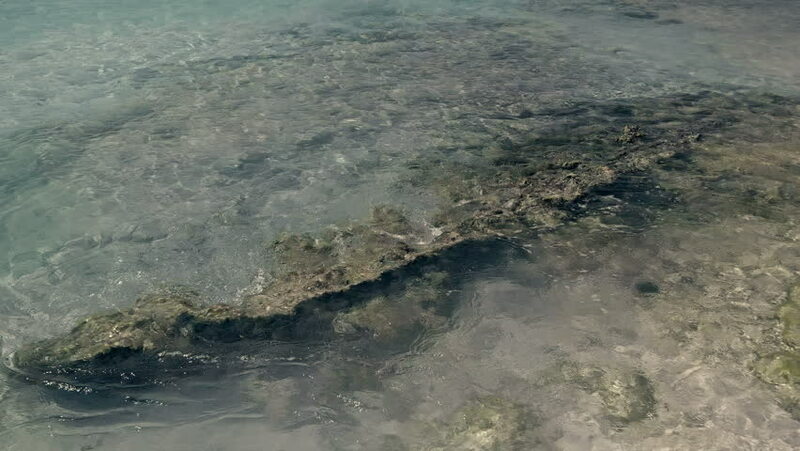 4K shot of the clear blue water of the Carribean, with a rock in the middle. hd00:20Slow motion sunlit lake waves in shallow water. Rippled sand pattern below. Lake Ontario. Summer at North Beach Provincial Park, Prince Edward County, Ontario, Canada.